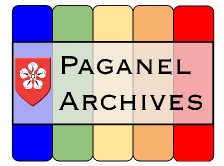 I am very excited about working with one of the only primary school archives this year as well as working with the children of Paganel school. As a history student and someone who knows the importance of individual history I think it’s fantastic that children have access to the archives and are interacting with their local history, especially since school is such a big part of life and establishing individual identities. I can’t wait to begin this exciting process!